Gotham Uncovered: Creation of a Scene - Director Christopher Nolan and creative collaborators unmask the incredible detail and planning behind the film, including stunt staging, filming in IMAX, and the new Bat-suit and Bat-pod. The Dark Knight arrives with tremendous hype (best superhero movie ever? posthumous Oscar for Heath Ledger? ), and incredibly, it lives up to all of it. But calling it the best superhero movie ever seems like faint praise, since part of what makes the movie great--in addition to pitch-perfect casting, outstanding writing, and a compelling vision--is that it bypasses the normal fantasy element of the superhero genre and makes it all terrifyingly real. Harvey Dent (Aaron Eckhart) is Gotham City's new district attorney, charged with cleaning up the crime rings that have paralysed the city. 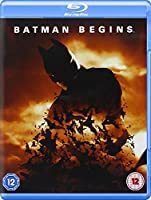 He enters an uneasy alliance with the young police lieutenant, Jim Gordon (Gary Oldman), and Batman (Christian Bale), the caped vigilante who seems to trust only Gordon--and whom only Gordon seems to trust. 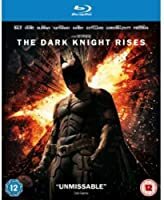 They make progress until a psychotic and deadly new player enters the game: the Joker (Heath Ledger), who offers the crime bosses a solution--kill the Batman. Further complicating matters is that Dent is now dating Rachel Dawes (Maggie Gyllenhaal, after Katie Holmes turned down the chance to reprise her role), the longtime love of Batman's alter ego, Bruce Wayne.